On Thursday, revelers across the country will celebrate what many believe to be a beloved Mexican holiday: Cinco de Mayo. Before you head to your local Mexican watering hole, read this guide to celebrating Cinco de Mayo in a respectful manner. I grew up on the Texas-Mexico border in a city that boasts a vibrant Mexican-American community. I'm Mexican-American, but growing up, I never celebrated Cinco De Mayo. Not once. The holiday wasn't even on my radar until I moved to Chicago after high school and discovered that Cinco de Mayo was a big freakin' deal to most college students. Shockingly, my peers and classmates didn't always celebrate in a way that I found respectful. I'm not here to sanctimoniously preach to you about the misconceptions surrounding Cinco de Mayo: Yes, it commemorates a major Mexican military victory at the Battle of Puebla. No, it isn't Mexican Independence Day. Yes, it's been exploited by marketing agencies and brands in an attempt to capitalize on Latino buying power. No, it isn't widely celebrated in Mexico, except in certain places. 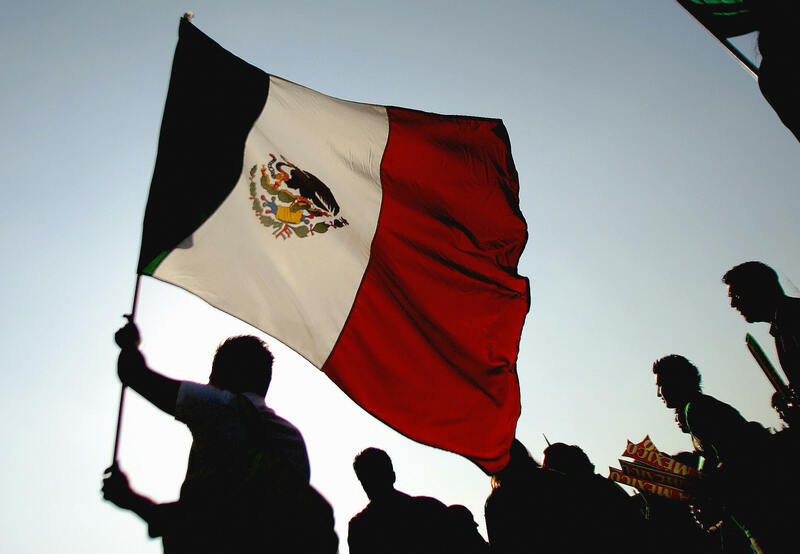 Cinco de Mayo commemorates the anniversary of the Battle of Puebla. On May 5, 1862, in an incredibly unlikely turn of events, Mexican forces defeated the French army at the Battle of Puebla. The victory slowed Napoleon and the French's advances to Mexico City and provided a much-needed morale boost for Mexican forces. Today, it is still celebrated in Puebla, the site of the unlikely victory. Before you celebrate any holiday, you should know the history. But this is especially important to remember on Cinco de Mayo. Though the date marks a victory, it is the anniversary of a battle. As in, people died. That doesn't mean you can't have fun or imbibe in a drink, but just remember that the holiday isn't all sunshine and Coronas. You can enjoy and appreciate the beauty of Mexico without appropriating the culture, making a parody of the country, or demeaning or disrespecting Mexicans and Mexican Americans. How do you do this, you ask? Treat yourself to a plate of tacos. Listen to some Mexican music. Imbibe in a refreshing, frozen margarita. Go crazy with a round of bandera shots. But don't, under any circumstances, do any of these things while in brownface or while wearing a sombrero, serape, or fake mustache. Don't bust out your maracas. Don't dress up as a chili pepper. I promise you can have just as much fun in jeans and a t-shirt. 3. Don't Use Spanish Vocabulary Inappropriately Or Call The Holiday "Cinco De Drinko"
Unless you make it a habit to speak Spanish during all your drinking outings, don't attempt to speak Spanish tonight. Yes, that means you shouldn't run around calling yourself a "borracho" or screaming "Arriba! Arriba!" at your friends. Don't call it Cinco de Drinko. This isn't a holiday that celebrates drinking. It's a holiday that commemorates an important military victory. Calling it "Cinco de Drinko" trivializes the sacrifices made by Mexicans during the war and degrades the meaning and history of the celebration. A movement called #ReclaimCinco has emerged in an attempt to nudge celebrations in the right direction. It asks that revelers do four very simple things during their celebrations: 1) Educate themselves on the history of the holiday; 2) Support authentic Mexican businesses, restaurants, and bars; 3) Celebrate responsibly and respectfully; and 4) Donate to organizations working for immigrant rights. Let's be real: if you can dish out $10 for a mango margarita, you can spare a little change for the organizations working tirelessly on behalf of the people whose culture you're celebrating. Now that you've read through this guide on respectful Cinco de Mayo celebrations, go forth, have a tequila shot, and have fun! Images: Pixabay (2); Warner Bros.